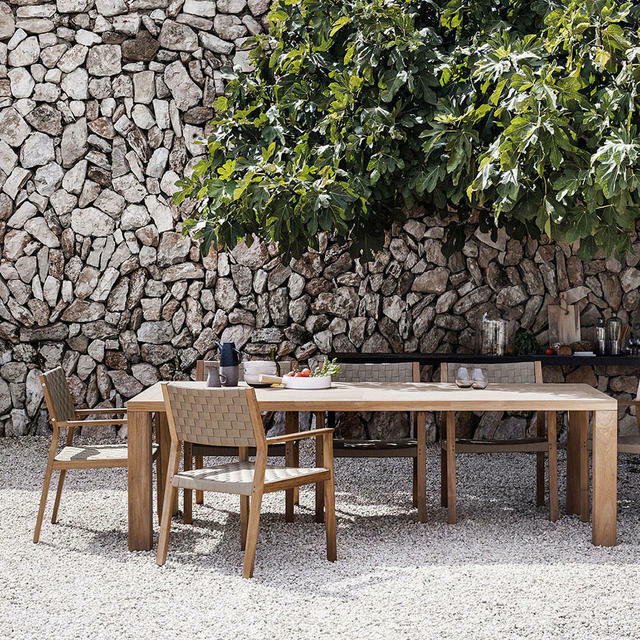 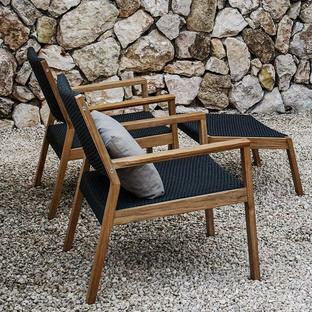 Distinctive outdoor teak and weave furniture taken to a new dimension by Gloster. Distinctive interwoven straps and ropes give the Maze collection it's name which takes conventional woven furniture to a new dimension. 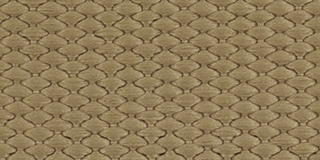 Working with soft outdoor materials woven over buffed teak frames, this unique design gives both visual impact and exceptional comfort. 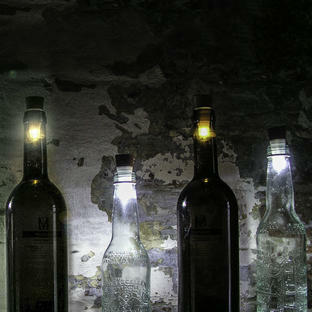 The furniture is suitable to be used both outdoors as well as indoor spaces. 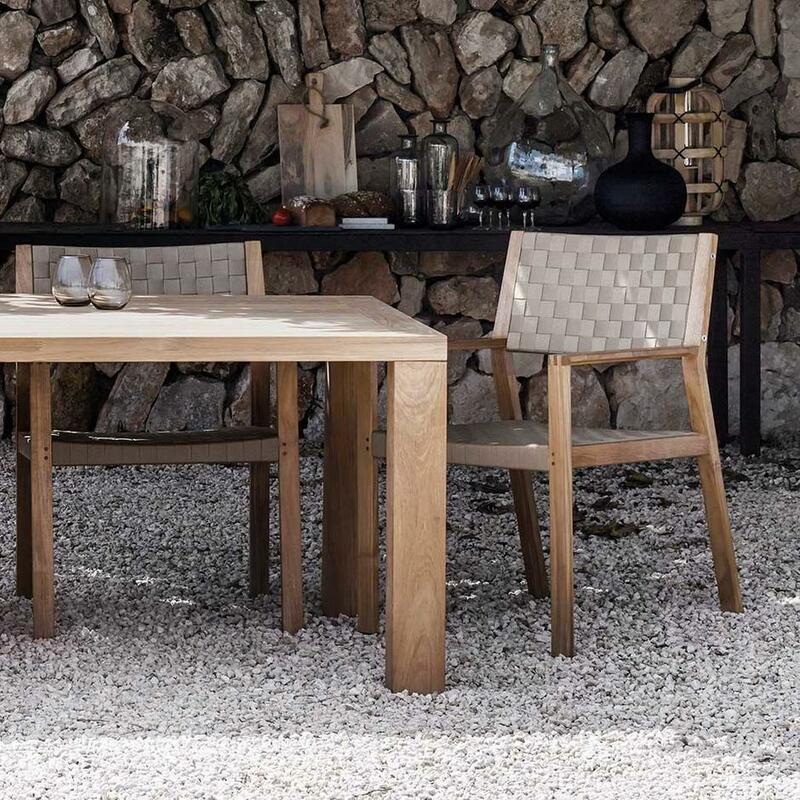 The Maze dining chairs complement the dining tables from the Square collection, or the Split dining table collection, see here. 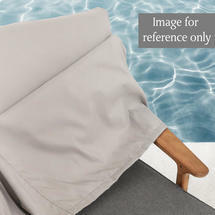 Covers are available and give the added advantage of keeping the furniture clean and dry during the winter months. 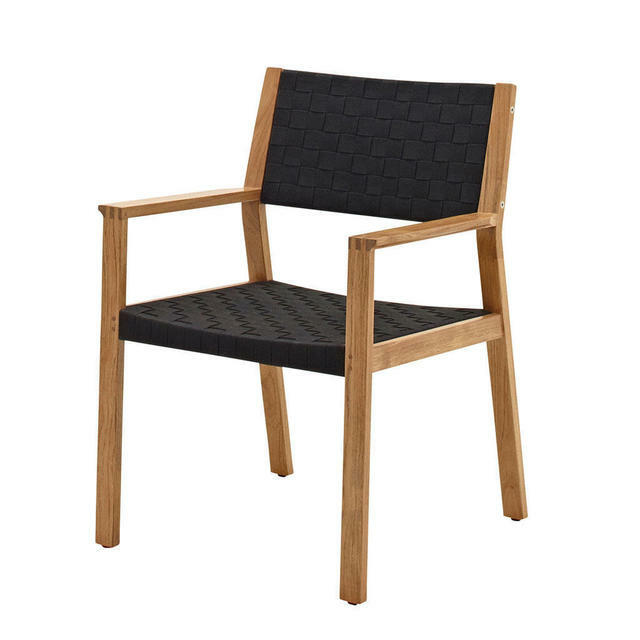 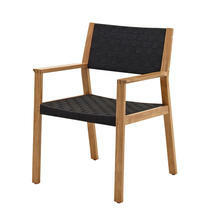 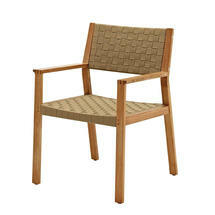 Buffed teak frame with all-weather weave seat detailing. 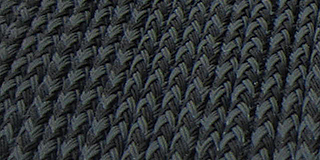 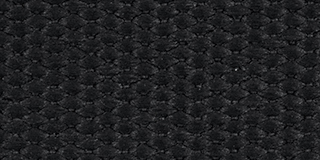 The weave is weather resistant and can be left outside all year round if required. 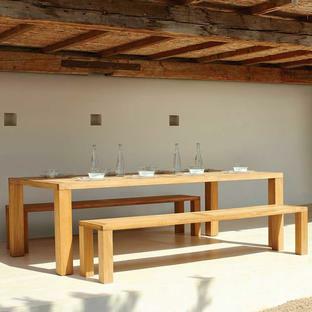 To maintain the look of the furniture simply wash down the seating and teak in the spring or as required.